Memory foam has a unique open cell structure that reacts and responds to body heat and weight. It moulds to the contours of your body, therefore optimising the support it provides. 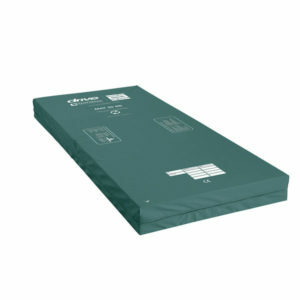 This general purpose replacement mattress is economic yet robust with the benefits of a removable and washable PU cover. The MAT 20 is a general purpose replacement mattress, delivering pressure redistribution to patients at high risk of developing pressure ulcers. Zonal castellation’s improve redistribution. The cover is vapour permeable, waterproof and multi-stretch. Well balanced body heat enhances patient comfort and reduces the risk of skin breakdown. A gel infused foam assists with microclimate management and redistributes pressure thus reducing the risk of pressure ulcers. 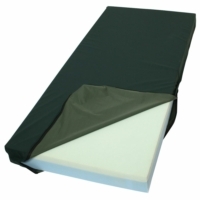 The MAT 30 features a Geltex top layer to balance body heat providing the patient with optimum pressure redistribution. 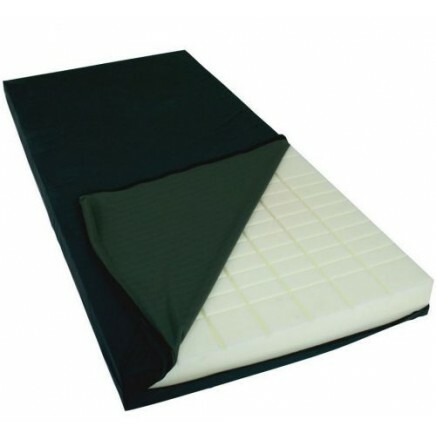 Importantly, the mattress cover is waterproof, multi-stretch and vapour permeable.